One of the most important aspects of who I am now is Mama to My Little Guy. I don’t use his name on here, most of the time I’m calling him by a nick name anyway. This spitfire of a boy has the energy, curiosity and determination of 3 at times. That can cause some interesting situations. I’ve written about him and his escapades before. If you need a good laugh I urge you to check it out. He goes to preschool two days a week and absolutely loves it. I started doing tot school work with him at home because he was chomping at the bit to learn. I quickly learned that he was well above my pay grade; this from someone with a Master’s degree in Education of the Hearing Impaired from the University of Tennessee. So I quickly began to look for a school. With no family or real friends in our new home I also desperately needed a break and a way to meet others. He started school after we had been her for a year and is now preparing to start his second year. This allowed me to start a Bible study and have time to get work done and make appointments. We are both better for his school time. 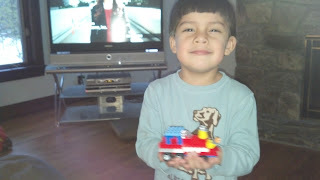 Like most little 4 year olds, my son is in LOVE with LEGOS! I love them, too, except for the fact that they seem to multiply like rabbits and spread all over creation. When I say multiply I am exempting those 3 essential and unique pieces needed to complete certain models. They are, of course, nowhere to be found! Go figure! His other love is his bicycle. I’m not using that word generically. He rides a two wheeler without training wheels. Neither does it have pedals, though. His dad and I both love cycling and wanted to give him an early start. 2 summers ago we bought a Skuut bike. The small wooden bike has a limited turning with the handle bar to avoid flipping the bike over. 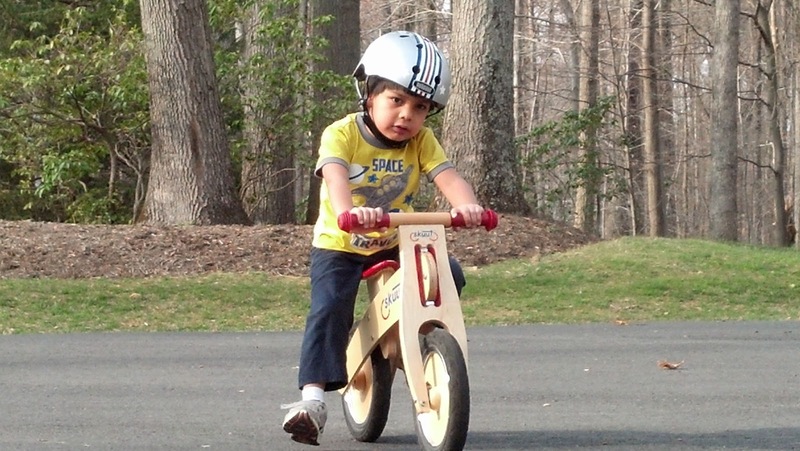 It teaches balance first, and then pedaling is simply added when the bike is outgrown. We expect that this summer we’ll be moving up to the big rig. My little guy’s Mustang Pedal car has given him the second skill. Please come back for X to find out another very important bit of information about our son and me. I’d love for you to subscribe to the posts so you don’t miss a thing. A righteous person’s parents have good reason to be happy. You can take pride in a wise child. i like your sweet, optimistic posts with happy endingd of good news! Thanks, what a wonderful comment. As bad as anything might seem, we are never without hope. Happy Mu day to you. That's a very interesting bike! It's a very European thing, don't you think? They are truly a great way to teach young children how to ride. Thanks so much, we like him. :) Glad you stopped by. Aw, he seems like a great little guy! Thanks for sharing him with us. Thanks! Every day is more joyful than the day before (with a few exceptions here and there, if you know what I mean). Thank you so much. I hope yours eventually learned to ride anyway. This little guy is obsessed with race cars and speed, so it came pretty natural to him after a few tries. Oh he is so cute and love that your loving school!! Whew such a relief, isn't it?! And the bike how fun!! We both love his school. 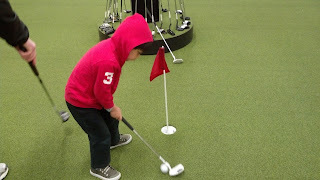 He's like a little sponge and I am constantly amazed at how quickly he picks things up and is can apply what he's learned. So fun to watch. We used standing scooters which had bicycle handle bards and hand breaks. 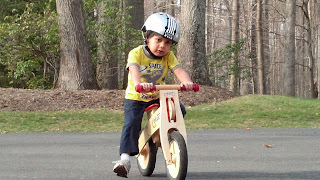 It gave both of mine a good start at balancing and moving to the bikes with limited time on training wheels if any. 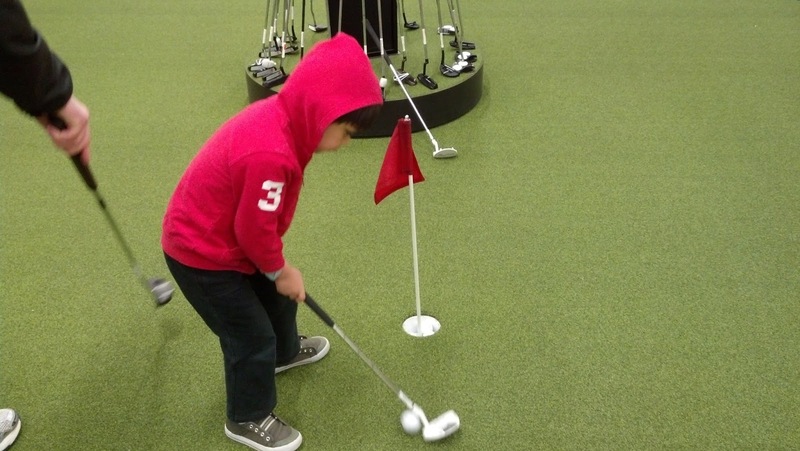 Isn't it great all the options we have for our littles? Yes! I've wondered if using those scooters helped. We'll find out in a few months how this worked. I know I can no longer run and keep up on this skuut.